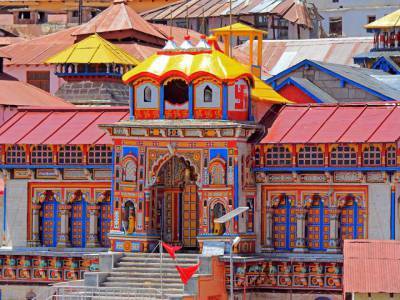 Dedicated to Lord Vishnu, the Badrinath temple or simply Badrinath Dham is located in Uttarakhand in India. This picturesque town and temple constitutes one of the Chota Char Dham pilgrimage sites and four Char Dham pilgrimage sites. It is the place where divinity finds one of its highest expressions and manifestation. The temple is situated in the Chamoli district. 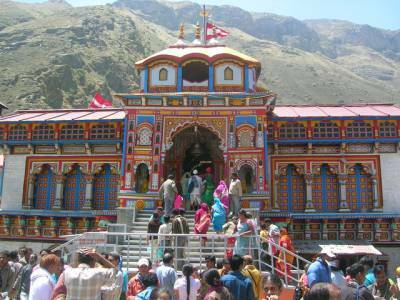 Badrinath happens to be the most renowned stop in the pilgrimage tour of the Char Dham and the Chota Char Dham. The naturally beautiful village of Mana is only about 3KM away from the Badrinath temple where the Indian boundary reaches the finishing point and the Tibetan one begins. It is in this place that the Neelkanth peak stands tall dispersing its grand presence. 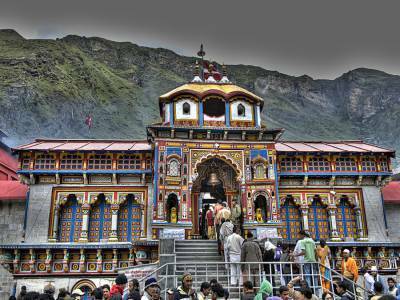 The Badrinath temple has been upheld at a very high esteem. It is said that there are many pious places on the planet and even in the heaven but none matches the one like Badrinath when it comes to sheer pilgrimage. 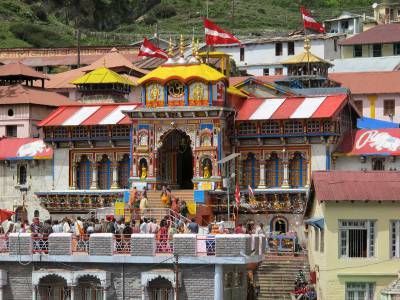 It is said that the great Adi Shankaracharya established the Badrinath shrine. The current Badrinath temple structure is the result of a lot of restorations which the temple has been compelled to go through owing to the damages caused by avalanches as well as earthquakes from time to time. A little bit below of the temple is the famous Tapta Kund, a natural thermal spring believed to be blessed and bestowed with therapeutic properties. It is necessary to take at least a dip in the holy Tapta Kund prior to entering the holy temple. Also there is a wonderful 122m fall positioned in the Himalayan surroundings which is about a trekking distance of 6km on foot from the Mana village. Badrinath can be quite easily reached by all three modes of transport viz. road, rail and airways from different parts of the country. Accessibility: The Temple is about 297 kms from Rishikesh, 320 kms from Hardwar, 337 kms from Dehradun, 533 kms from delhi, 336 kms from Dehradun railway station and 312 kms from the nearest airport. Accommodation: There are a couples of places to stay Bedrinath, you will find dharamshalas, affordable guesthouses and budget hotels. 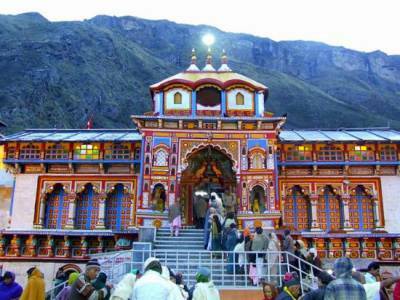 Badrinath temple open at 04:30 AM to 01:00 PM and then 04:00 PM to 09:00 PM after divine song "Geet Govind"
Get quick answers from travelers who visit to Badrinath Temple.